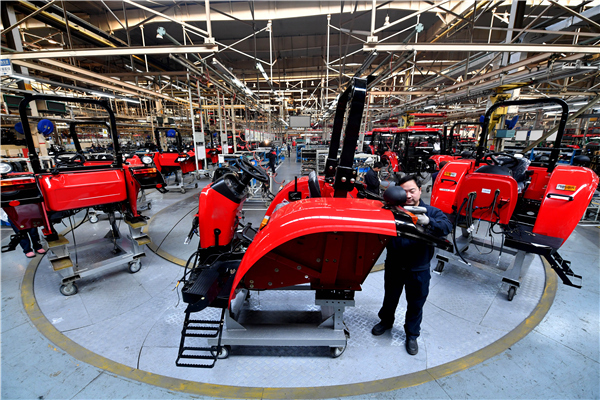 China will take a slew of incentives to further boost imports in order to drive domestic industrial upgrading and better meet the increasingly diversified consumption demands of people, the State Council decided at an executive meeting chaired by Premier Li Keqiang on June 13. The measures are expected to advance China’s win-win strategy of opening-up. Expanding imports while keeping exports stable will help raise the supply quality and upgrade consumption. The Chinese government puts great emphasis on boosting imports. In his keynote speech at the Boao Forum for Asia Annual Conference in April, President Xi Jinping announced that China will expand imports and achieve greater balance in international payments under the current account, and will import more products that are competitive in light of market demand. Premier Li Keqiang stated in the Government Work Report in March that China will actively expand imports and lower import tariffs on goods such as automobiles and everyday consumer products, to promote industrial upgrading and more balanced development of trade and further diversify consumer choices. China has made notable achievements in foreign trade since reform and opening-up. The country has been the world’s largest exporter and second largest importer of goods for nine consecutive years, and is now the world’s largest importer of energy resources. The June 13 meeting decided that more support will be given to importing daily consumer goods, medicine, as well as nursing and rehabilitation facilities, to meet the demand of consumption upgrading and improve supply quality. The government will also cut the import tax on some goods and reduce institutional procedures and unreasonable price increases, so that consumers can benefit from the import duty cuts. Policies on duty-free shops will be made more flexible, with more duty-free products introduced and shopping experiences improved. Imports of technological facilities needed for domestic industrial upgrading will be supported. The meeting also called for optimizing customs clearance procedures and promoting the Authorized Economic Operator (AEO) mutual recognition with other countries to better facilitate imports. New approaches to importing trade were called for at the meeting, and cross-border e-commerce and border trade will be further developed. At the same time, a credit information system in foreign trade as well as enhanced intellectual property rights protection are needed so that foreign trade and foreign investment will complement one another. “Our initiative of boosting imports demonstrates China’s commitment to a new round of high-standard opening-up, to economic restructuring, and to economic transformation and high-quality development,” Premier Li said. April’s statistics from the General Administration of Customs show a good momentum in China’s foreign trade in the first quarter of this year. Trade in goods totaled 6.75 trillion yuan, up 9.4 percent year-on-year, and trade surplus fell 21.8 percent.